The stress on new regulations of participating in the Medicare and Medicaid Service (CMS) programs has arrived. While they extend for three phases, phase one’s spotlight, which began November 28, 2016 focuses on food, nutrition, and dining. It states just how critical these new rules are to the well-being of your residents. Remember, as seen in our video and posted in our blog Truth # 2, that your residents spend 60% of their day focused (anticipating, preparing for, going to, eating, visiting, leaving) around mealtimes! Part of their dining occasion is the chance to socialize with their friends, visitors, and family. This includes the social interplay with staff and servers. Frequency of meals, clarification of serving hours and alternative options, are also addressed in these regulations, as are the procurement of foods from local sources. The Farm-to-Table trend is beneficial to all involved. Even communities located in large cities can have local produce and meats delivered straight from the farm to their kitchen door. All sources must be approved or considered satisfactory by federal, state and local authorities. Everyone wins. Healthy eating partners up with the importance of healthy socializing. Particular communities extend the opportunity for their residents to actually participate in their Farm-to-Table goals. This reflects today’s generation of active foodies, described in our Truth # 4 and it extends the popular idea of community gardens. Even inner cities have neighborhood gardens. What could be better for your community than to have an herb garden that your residents can help tend. Many seniors regret leaving their own vegetable, flower, or herb garden behind when they are encouraged to go to a retirement village. 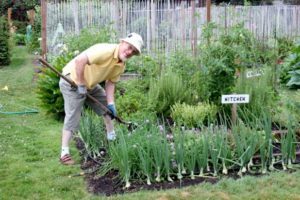 This is a much simpler project than it sounds and one that will produce abundantly year after year, benefitting both the kitchen and gardener residents. Another offer is a springtime outing of going to the farm to pick blueberries! The guidelines also mention that food may be grown in the community’s own garden. Many residents will be delighted to have a hand in some part of this growing and harvesting phase. As taught in Kind Dining workshops, today’s seniors are not content with sitting in their rooms. They want an active part in their own care and daily events when possible. The regulations your community are now facing, centers on individual attention to each resident’s nutritional needs and the expertise of the staff serving them. A successful residential home at all levels of care, aims to keep their clientele and staff happy while operating within budget. A good team does that with pride. Stress is placed on the value of nutrition, flavor, and an appetizing appearance of food and its being served in a pleasing way. I’m a firm believer and adopted this philosophy long before I heard this quote in 1997, “that to sustain body and soul, food must be nutritious, culturally relevant, and served with artistry, skill, and love.” Kind Dining communities shine in their training of these areas pertaining to dining services and all it entails.